Signicat has partnered with Belgium Mobile ID to integrate the Belgian itsme digital identity scheme into the Signicat digital identity platform. 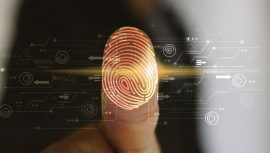 This integration allows Belgian financial institutions to leverage customer on-boarding and user authentication, implementing electronic signing and preservation of legal agreements, and keeping up with regulatory compliance. Gunnar Nordseth, CEO, Signicat, says the deal means that businesses across Europe can “quickly and securely on-board Belgian customers, digitally, in minutes – and have trust in their identities – without any need for excessive paperwork”. Signicat now reaches over 20 eID schemes in countries including Sweden, Norway, Denmark and the Netherlands. Signicat will also become a reseller for itsme, providing customers with offerings for digital identity solutions in Belgium. Itsme is a free ID scheme and an open ecosystem, designed to be deployed in other regions and countries. Companies and institutions who want to offer itsme to their clients contribute according to their number of users.